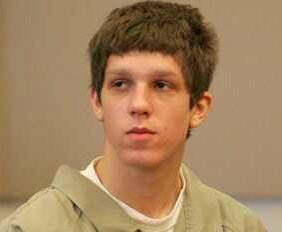 Prosecutors at the murder trial of 17-year-old Daniel Petric claim that the teen shot both of his parents, killing his mother, because they wouldn't let him play Halo 3. According to prosectors, Petric, 16 at the time of the shooting, was forbidden to buy Halo 3 by his parents, Mark and Susan Petric. The teen snuck out to purchase the game anyway, and was caught by his parents upon his return. The game was locked up in Mark's lockbox, along with a 9mm handgun. Mark Petric, a minister at the Life Assembly of God in Wellington, Ohio, testified that soon after on the evening of October 20th, 2007, his son entered the family room with a request. "Would you guys close your eyes," Daniel Petric asked. "I have a surprise for you." It was then that Daniel Petric allegedly shot both of his parents in the head, killing his mother instantly. Mark Petric survived due to the timely arrival of his daughter and her husband, who had arrived to watch a Cleveland Indians game. "Dad, I'm so sorry for what I did to Mom, to you and to the family," Daniel Petric said, according to his father. "I'm so glad you are alive." "You're my son," Mark Petric responded. "You're my boy." Lawyers for the accused delivered a brief statement at the opening of the trial, explaining that their client had be under a large amount of stress after being homebound for a year due to a snowboarding accident with nothing to do but watch television and play video games. I really don't know what to think about this case. The parents were doing what I always suggest parents do, monitoring their son's gameplay and making sure he doesn't play what they don't approve of. Sadly in this case it backfired. Without knowing more about the family - specifically about Daniel Petric - there's no real way of knowing why this happened. I suspect the boy's lawyers might have a point about being homebound for a year, especially if Daniel was an active teen, as the snowboarding incident seems to suggest. It's a tragic story that really leaves me with conflicting emotions. On one hand, the fact that a teenager can feel so entitled to something that he'd kill for it worries the hell out of me. At the same time, the fact that the father can forgive him for what he had done is a strong testament to the power of both family and forgiveness. Interpret it how you will.